The International Marathon Swimming Hall of Fame announced its Class of 2014. In addition to Melissa Cunningham (Australia), Sandra Bucha (U.S.A.), Elizabeth Fry (U.S.A.), Vojislav Mijić (Serbia), Jane Katz (U.S.A.) and the Indonesian Swimming Federation, Jim Anderson (U.S.A.) was selected as an Honour Administrator. 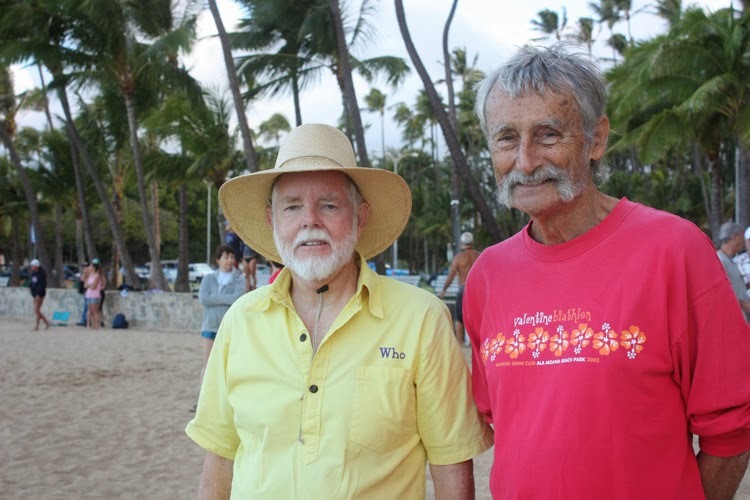 Jim Anderson was not only a founding member and race director for the Waikiki Roughwater Swim, but he has also been the organizer of the 7 km Hawaiian Christmas Looong Distance Invitational Rough-H2O Swim since 1980.